« More Political Comics – Steal Back Your Vote! 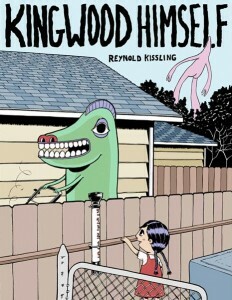 Delightfully twisted, this comic reminded me a lot of the more surreal cartoons and kid shows I watched growing up. The main character, Emily, is very reminiscent of Little Lulu, going on trips to cities in the clouds and undersea kingdoms. There’s also a touch of Krofft thrown in, as I expect HR Pufnstuf to come around the corner with Jimmy and his Golden Flute in tow. I love the solidity of the art, the characters looking like you could reach in and pick them up by their round heads. The detail and design in the cul-de-sac, and of the various houses makes me want to try to find my way there; it could be in the wooded grove just a block over it seems like. Guudo’s room is like the fantasies you have of shrinking down and swimming in the fishtank, with the miniature castle and diver for company. Reynold put this together as a nice looking comic as well. The front and back cover feature full-page color images from what look like Emily’s continuing visits to the cul-de-sac, and the inside-cover features thumbnail drawings of several of the characters. 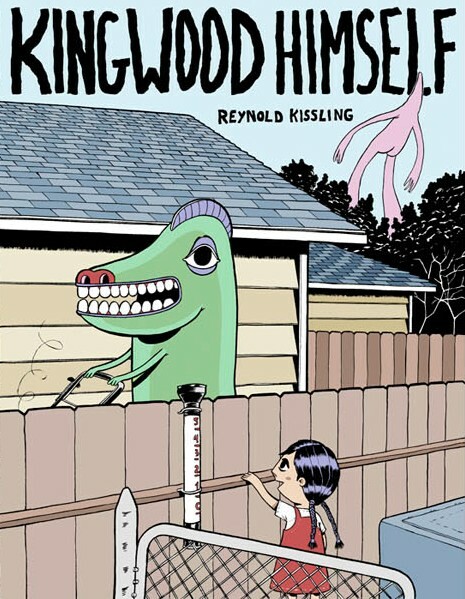 There’s a nice little Easter Egg when you go to his website and view Kingwood Himself online: the cover image extends further then in the hard copy. While you’re there, check out the rest of his comics. I particularly like Commute. This entry was posted by jason	on Wednesday, October 8th, 2008 at 11:16 pm and is filed under artist/creator(s), independent. You can follow any responses to this entry through the RSS 2.0 feed. You can leave a response, or trackback from your own site. I read Jason’s copy of this also, while we were recording our last podcast, and I really dug the story, not-so-subtle moral message about acceptance/tolerance and all. Reynold is also part of the “Hot Ink” exhibit at the Minnesota Museum of American Art going on right now. You can also see more of his work at his blog. Renny’s got some sweet skills. And a heck of a better portfolio than I do. I feel greatly intimidated. Glad he’s a friend and not just a fellow aspiring professional. The detail in his backgrounds gives me chills. All artists should aspire to this level of craft for sure.